Courtney has been practicing medical esthetics for 16 years and has been involved in the industry in all facets including educating, leading and training other practitioners and assisting doctors in surgical procedures. 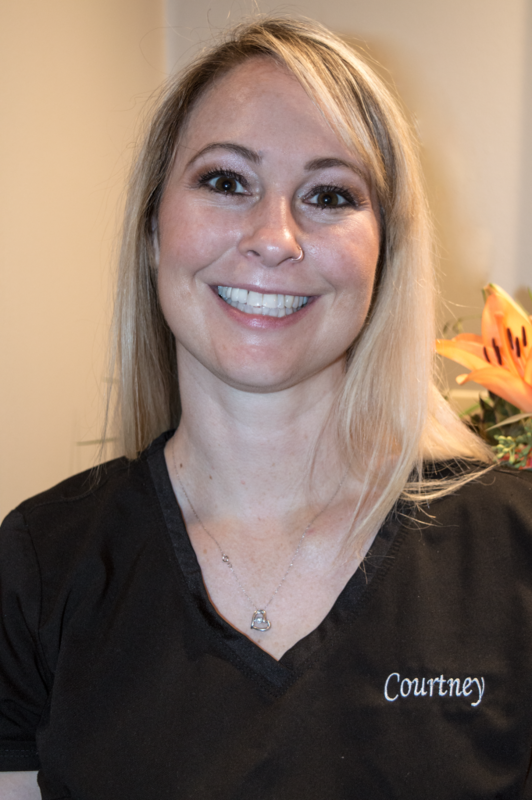 She is a licensed Esthetician and Laser Practitioner and has a passion for making her clients feel like their best self & assisting them in meeting their skin care goals. In her free time she is very involved in fitness and competes in Powerlifting and CrossFit. She is originally from Texas and lives in Alpharetta with her boyfriend and three dogs named Roxie, Bandito and Teddy that are her fur babies.